Help Your Pharmacy Students Succeed Before They Start Classes! 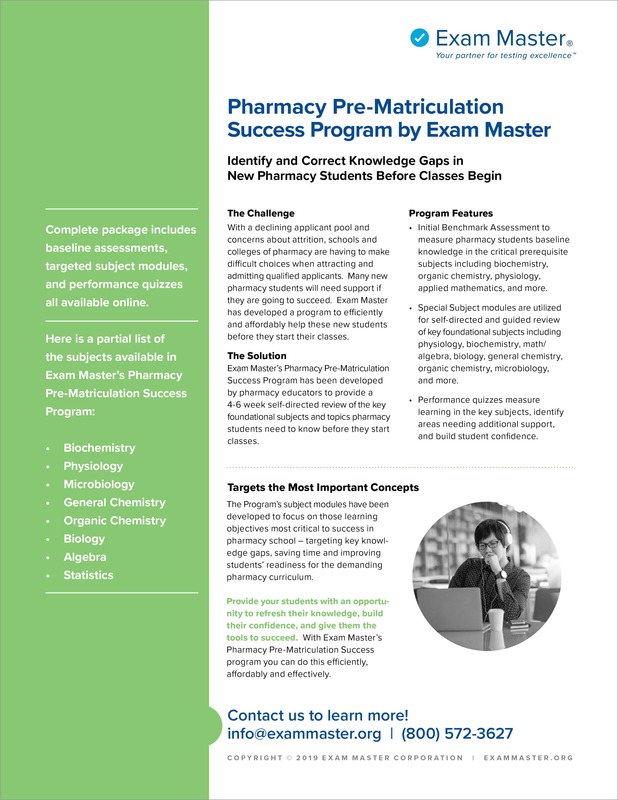 Exam Master’s Pharmacy Pre-Matriculation Success Program is designed to make sure your pharmacy students understand the foundational concepts they are going to need to excel in their first year of pharmacy school. Special subject modules cover the most important concepts they need to know.